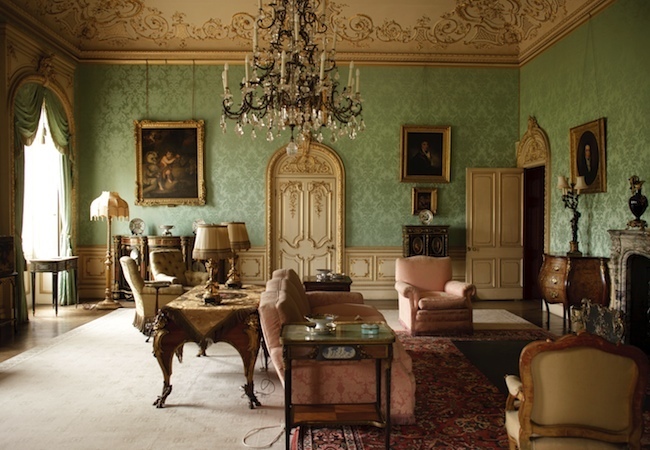 With a great deal of historical research and some help from Downton devotees on the Kelly-Moore staff, the company has created 19 hues, each one capturing an element of the glamour and grandeur of the show’s backdrop, an enormous and opulent estate in the English countryside. Some colors take their cue from the drawing room, where the aqua-green walls are softened by details of rose, ivory, and gold. Meanwhile, other colors reference the masculine, sophisticated oxblood and carnelian reds of the library. 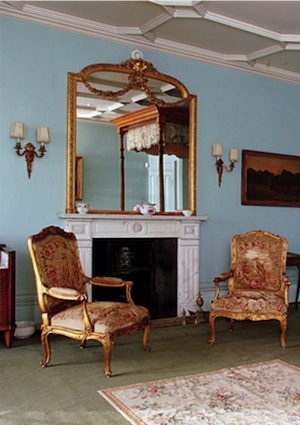 Several of the characters’ bedrooms, not to mention the servants’ kitchen, sparked additional shades. For Mary Lawlor and others responsible for the Kelly-Moore Paints product line, it was no mean feat to develop new colors based on historical examples. The challenge was to come up with solutions that, even as they remained true to the Edwardian Era, also managed to fit seamlessly into 21st-century homes. Well, it may not have been easy, but Kelly-Moore did it. On January 5, the fourth season premiers on PBS’s “Masterpiece.” If you haven’t yet watched the show, consider this: The fans of Downton Abbey are so devoted that many are apparently seeking to re-create the look of its interiors in their own homes. So there must be something to this early-20th-century period drama, right?